Moto the Jack Russell and Murry the Mallard. 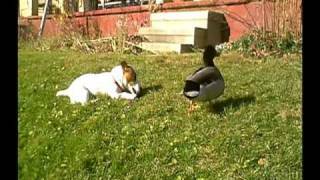 Could this dog and duck duo be having any more fun in each others’ company? No puppies or ducks where harmed in the making of this movie.